Some of you know I love the original Colour Riche Balm and have repurchased them (documented here). 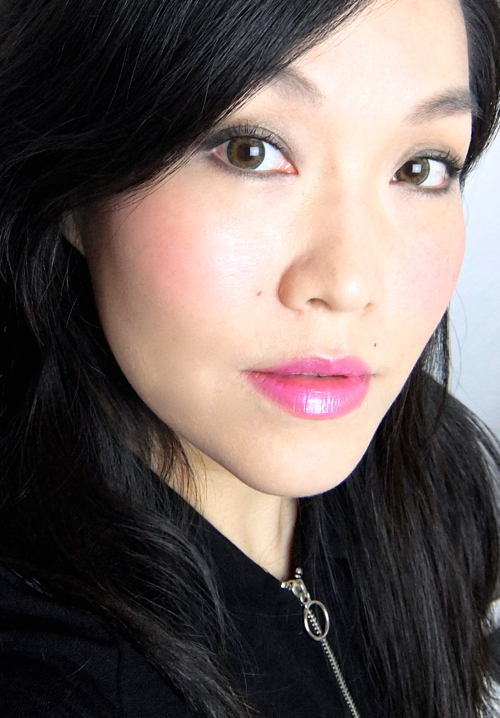 Colour Riche Balm Pop is basically a more pigmented version with brighter colors. Wild Lily is a very bright medium pink that almost looks neon from the tube. It covers well only with a couple swipes. 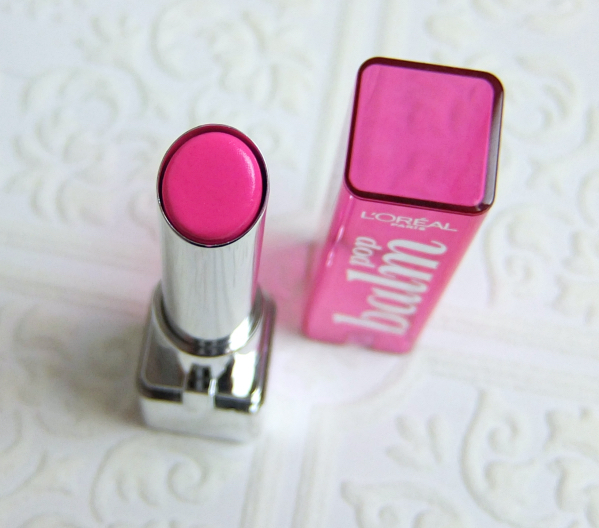 L'Oreal Balm Pop reminds me of Revlon Lip Butter although Balm Pop feels lighter on the lips. 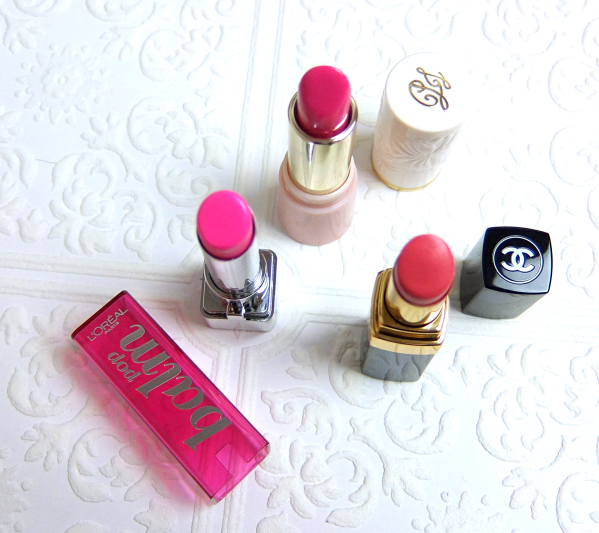 I fetched out some of the sheer pink lipsticks I own. Next to the other two, Wild Lily even looks purple. The "8 hour moisture" claim isn't true even for the precedent, but with more pigment packed in, it starts to feel dry on lips quicker. And the pigment ends up clinging on the dry patches. Please don't get me wrong. It is a hydrating kind and feels comfortable on. It gives a nearly full coverage (I think the "balm" definition is lost right there), but isn't exactly long lasting. Which requires touch-ups that result more pigment clinging on the dry patches. When the color is on the loud and unnatural side, this effect is not so attractive. I have to admit I am being extremely picky about this, because the other ones pulled out for comparison are not much different. It is an unfortunate finding for a sheer lipstick lover that many glossy sheer lipsticks behave this way whether it is a high-end or not. I usually have zero problem with cool-toned pink, but this time I felt I needed to balance out the excessive pinkiness. Khaki eyeshadows usually come in handy for that. I used the shimmery khaki eyeshadow from Chanel Enigma all over, and lined my lower lash lines and the top corners with the Prestige liner (which I mindlessly use every single day yet I never talked about). Marc Jacobs liner was used to tightline although it doesn't show in this picture. Highly pigmented lipsticks with opaque coverage often appear harsh and aging on my already pigmented and well-defined lips, so I have to think that some of us look better with sheer lipsticks. 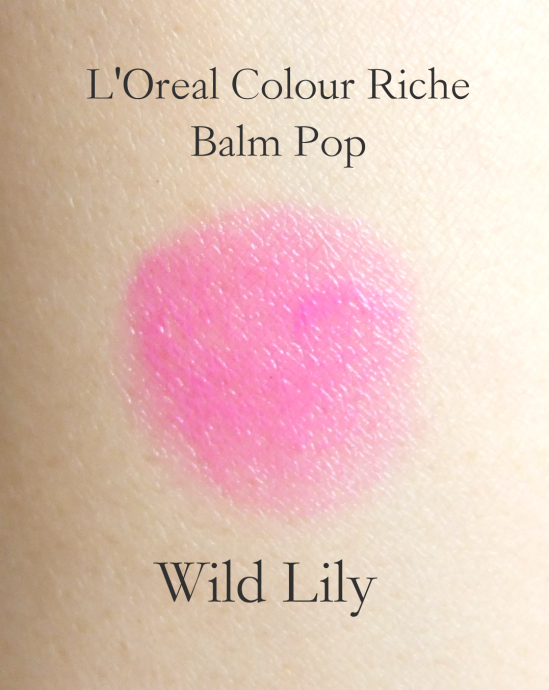 To me, L'Oreal Colour Riche Balm Pop certainly isn't a balm. It is not even a sheer lipstick, if you ask me. I'd say it is a semi-opaque lipstick with glossy finish because I find it is quite similar to its other sibling, Colour Riche Caresse Lipstick except for that Balm Pop is more pleasantly scented. I feel slightly irritated thinking, "Why did they have to put in more pigment and ruin the perfectly good thing? What is so wrong about a tinted lip balm being sheer?". But then, it is an added choice, not a reformulation. So let it go, Lena. You sort of like this lipstick anyway. 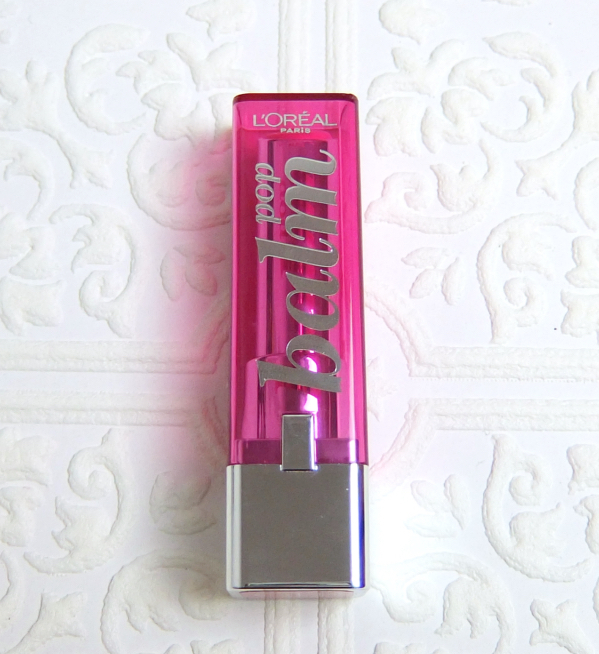 Have you tried L'Oreal Colour Riche Balm Pop? What is your lipstick preference in general? OH DEAR. This shade is just seriously gorgeous! I love that violet purplish undertone to it! I have a blush that would go with this so well! I've yet to swatch or check these out in store yet but would love to! I'm actually trying to do the opposite by focusing less on the drugstore and cheaper products and aiming to get fewer more expensive items that I've been wanting forever! I personally like light to medium pigmented lip colors which a moist texture! You wear all kinds of pinks so nicely, so I am sure this will look fabulous on you, Sharlynn! That is a really pretty shade and I agree with you, drugstore lipsticks have become so much better. I haven't tried this particular one though. I love colours like these but can't pull them off, it looks great on you! On an everyday basis I defintiely prefer sheer lipsticks. I can get away with wearing brighter colours when they are sheer and don't have to be worried all the time if they are smearing. LOL Lena hahaha! This is so pretty on you! 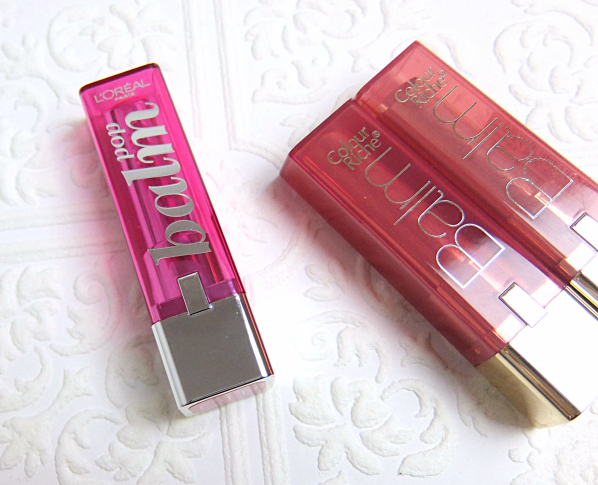 I like these a lot-and you are right-some people suit sheer lipsticks more than others! My lip line is horrible, so I think I look better in opaque lipsticks. 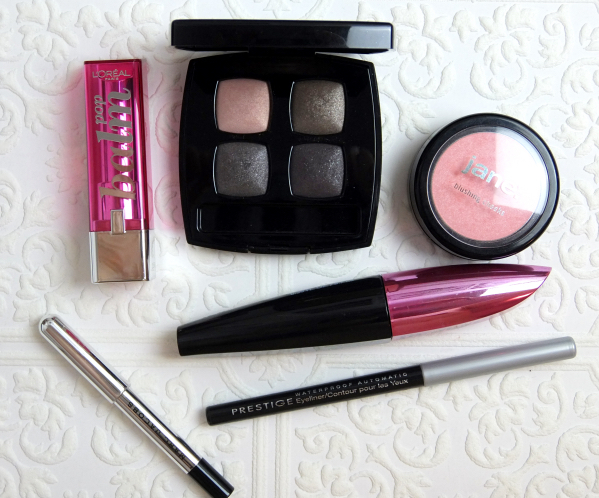 I am swooning over that FOTD, Lena! It's gorgeous! The khaki eye shades are the perfect match. I love pinks like this, actually - the purple lean makes them so interesting! Thank you, Meiko. :) It is a very brightening shade, for sure! I don't think this is more moisturizing than other sheer lipstick although it is quite comfortable on lips. The original Balm is more hydrating. Even though it wasn't love and first swipe, the color looks smashing on you!